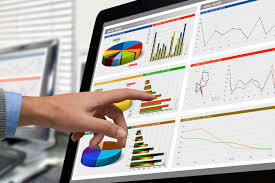 Like all technology mobile analytics keep on advancing to new heights. At iGuide we keep our clients aware of developments to keep our you informed and up to date on the latest analytical developments. Additional data analytics can be designed to meet each firms individual requirements. There are many parameters so the following outline give you a flavour of what’s available. This is a typical Audience Dashboard showing age profile, gender, language and country of origin in one screen. Downloading a CSV file allows you to import the data into an excel spreadsheet and analyse the data to specific forms that suite your requirements. Examples of this are on the folowing page. We outline the number of individual user sessions per day which can be displayed in any form that works for you. In bar charts as above or line graphs, pie charts and more. The time line can be narrowed or expanded to highligh campaign or requirement programmes. The reports can be run for days, weeks or months. As seen above this session outlines the male female breakdown as of a campaign in a timeline. This can be expanded or compared with many other parameters. These tools allow you to qualify the exact reason for fine tuning your smartphone applications.